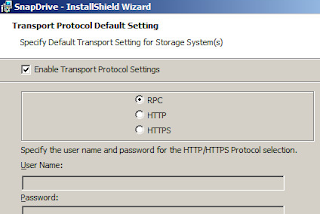 Here we run through setting up SnapDrive for Windows (SDW) on a Windows 2008R2 SP1 server, to manage VMDKs that exist on NFS datastores provisioned on NetApp storage. 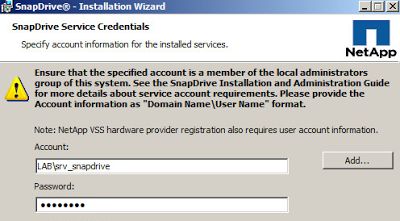 Note: SnapDrive for Windows cannot create the VMDKs on NFS. 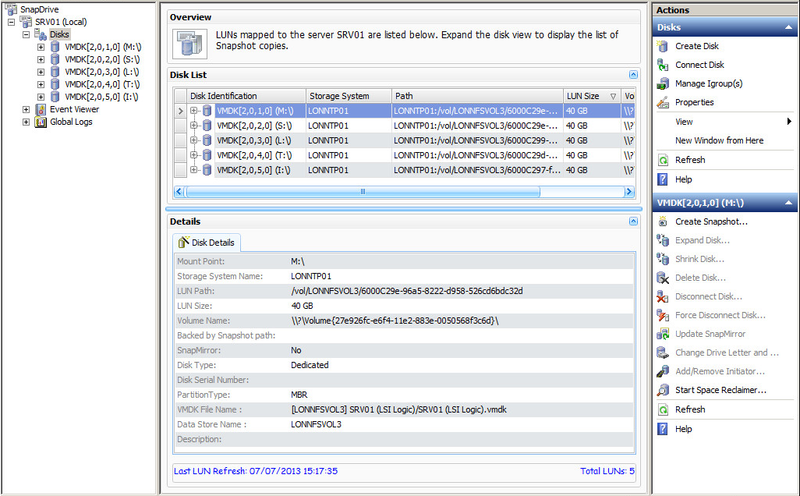 The VMDKs must first be created in vCenter; and then set online, initialized, and formatted in Windows disk Management. Note: Check out the NetApp Interoperability Matrix Tool (IMT) at http://support.netapp.com/matrix for supported configurations! Note: Being a lab machine this has no installed anti-virus! Note: Here we are logged on as the LAB\srv_snapdrive account! DO NOT SELECT ‘Enable VirtualCenter or ESX Server Settings’ - this is only for if you are using iSCSI or FC attached RDMs! Note: DFM/Protection manager cannot be used to manage SnapVault-ing of VMDKs on NFS! All being well, when you open the SnapDrive MMC and click to expand ‘Disks’, all the VMDKs on NFS attached to this Virtual Machine should be visible! Nice and simple! 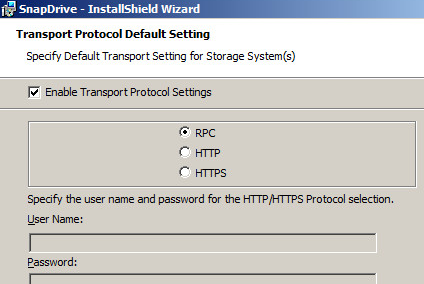 Q1: Do Storage Systems need to be individually specified under ‘Transport Protocol Settings’? Image: No Storage Systems specified here. We’re using RPC for default settings. Q2: Do you need to run the below? Q3: I’m getting “Loading SnapDriveRes.dll failed” error when I try to run sdcli, why? A3: Check the server has had a reboot after turning of UAC. 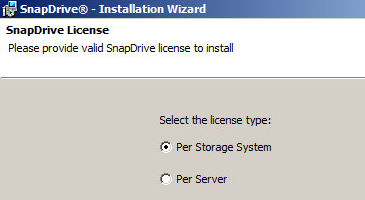 Q4: How to restart the SnapDrive service? Q5: Does it matter if the VMware Paravirtual SCSI driver is used? 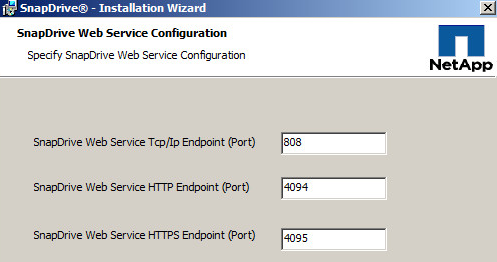 Q6: Does Microsoft iSCSI Initiator need to be enabled? Good to have something to refer to and check against. Thanks for taking the time to post all of this here, very useful. Could you insert the drawings of network architecture for post? Firstthank you ver maych for the manual!! shapo !!! 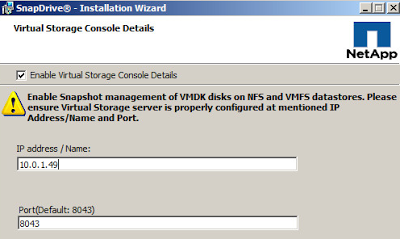 after installation i can see th C vmdk drive that install on NFS drive on netapp1. So far I found half of th answer. I found that SnapDrive doesn't support dynamic disk. When we converted the disk to basic disk it worked fine and the snapdrive found all the basic disks.